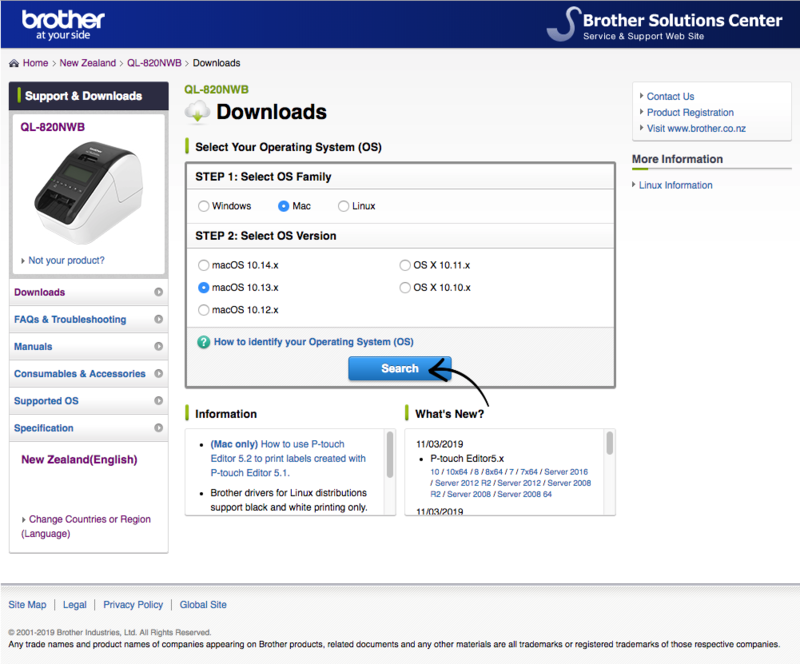 The first step is to download or load the Brother printer Software and Drivers on your PC or Mac and follow the instructions. This software contains the installation wizard that walks you through connecting your printer to your network. The software can be installed by either using the included CD ROM that came with the printer or downloading the printer drivers from Brother website to your PC / Mac. 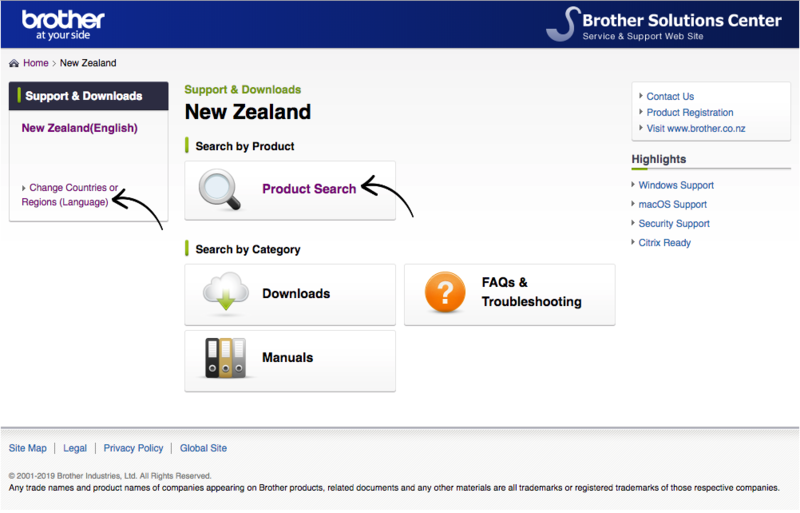 Select your country/region and click on 'Product Search'. Type in the printer model and click on the 'Downloads' button. Click 'Search', this will automatically detect your operating system. Click on the 'Full Software Package' and input the last 7 digits from the serial number, this can be located inside the printer just below the label roll. Follow the prompt from the brother set up wizard within the full software package to connect to the wifi network of your choice. *Please note, it is very common during the installation process to connect your printer and computer temporarily via USB, even if you're setting up your printer for WiFi printing. Your printer and iPad must be on the same network, or at least on two networks that have protocols set up that allow them to communicate with one another. If not, SwipedOn will not be able to connect to the printer. 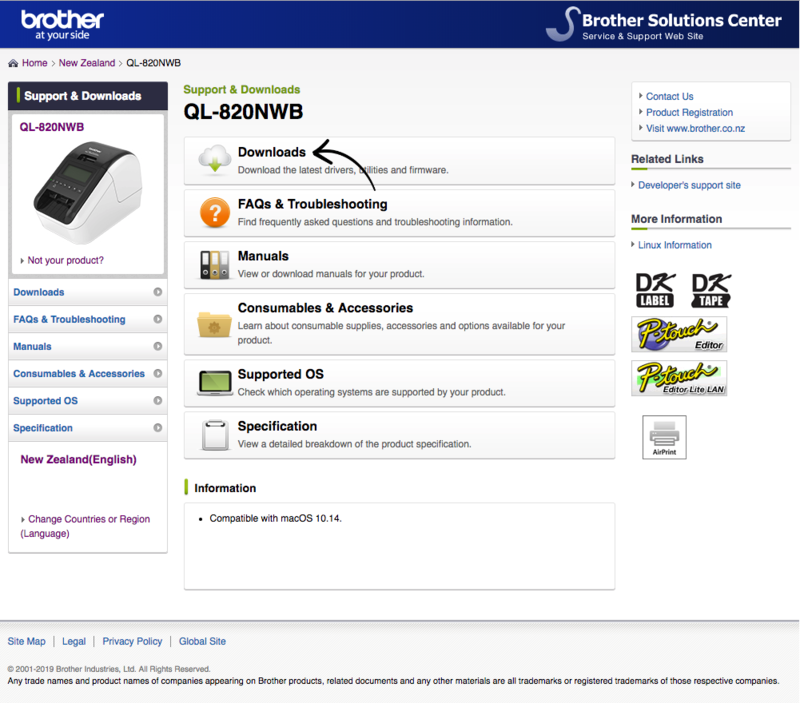 If you intend to print via Bluetooth (QL-820 NWB only) then you do not have to connect your printer to a WiFi network.